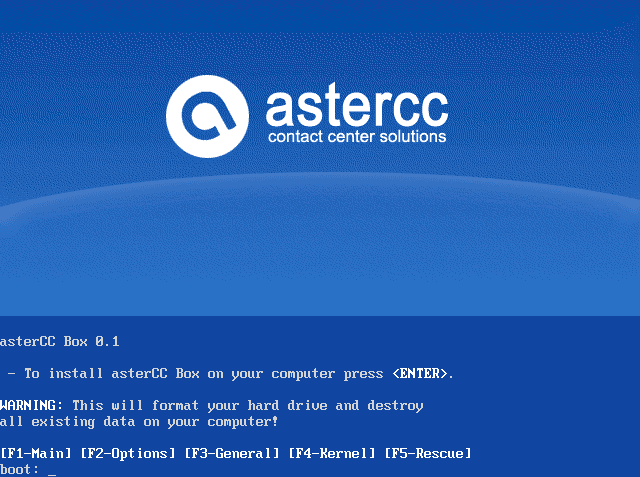 asterCC-BOX includes CentOS linux, it’s an easy to install contact center and billing system, based on asterisk PBX and asterCC software package, inegrated FreePBX(asterisk web GUI) with simplified chinese language package and asternic-stats(analyze your Asterisk PBX queue_log). asterCC-BOX provides flexible and stable phone system, contact center and billing(callshop solution) system for your business. I got that error on boot time, and when i logged in as root, i also get that one when starting MySQL server. BTW. I’m running it on VMWARE. Which I think best way to test it before a real-life server. run asterccd restart when you logged in as root and what’s msg you get? I think error you got when boots maybe a chkconfig scirpt error, I will check it on VMWARE, thank for your post. I think it’s my mistake running the VMWARE on Red Hat 4… it should be RH5 type of VM. I am running it fully on my VMWARE. My next question though would be, do you have a feature comparison with regards to the OpenSource Version + licensed? Looking for an outbound call center solution that will call customer and once connected give the customer a option to 1. Talk to agent, 2. Leave a message, or 3. Be put on do not call list. Will AsterCCC do this? I installed the ISO CD and I am trying to login as root but the password is not working, would you please provide it. Does Astercc require some configuration after in install astercc-box? I wonder if i need to do some setup in asterisk?? Is that solution suitable for use with a Linksys SPA8000 (8 FXS box) for a callshop ? Is that system capable to recognize the CDR (debug messages) from the SPA8000 box ? I just installed the box and logged in as root but I dont know why the “startx” command doesn’t work. I tried to login as a simple user but it seems there are no other users than root (using “users” shell command). I’m trying to use that linux box for a callshop that uses Linksys SPA8000 boxes (8 FXS) as gateway to make outgoing calls because this is the only freeware solution I found. So I ll have to configure SPA8000 to send calls to the AsterCC computer as registrar/proxy, then the AsterCCBOX will redirect these calls to a SIP termination service (like betamax). 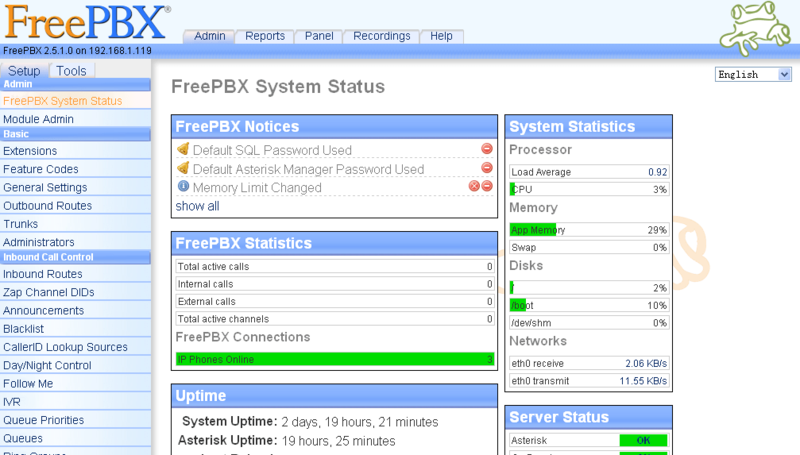 Then I will be able to monitor these calls using the Web interface. Hi – will astercc work as a predictive dialer for 1 caller with 4 VoIP outbound lines? Also – I find this a bit daunting, setting this up. Is there a step by step guide for those of us who have no experience with anything excet being a user in a windows environment. what you mean 4 VoIP lines when you just have 1 caller? Which version of Asterisk can work with astercc.